First what do we call the collective systems that all these folks and all their organizations are helping to create? 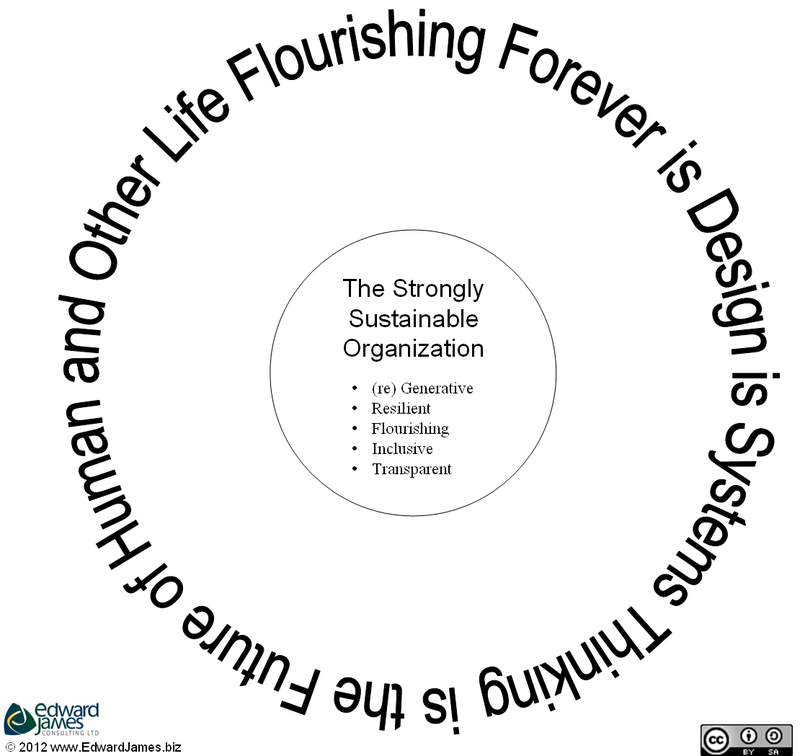 I'm going to suggest we call them the "ecosystem creating the future of strongly sustainable business". Perhaps this is an example of a value-constellation? (Thanks to Peter Jones for this idea). Second. This got me thinking about ways to explain and describe all this work...and perhaps this might help all these folks and their organizations collaborate with each other towards what I think they would all see as a common ideal goal. Many people and organizations are working towards this ideal goal using this approach: but each has a number of foci - depending on their skills, knowledge and where they believe they can best contribute. 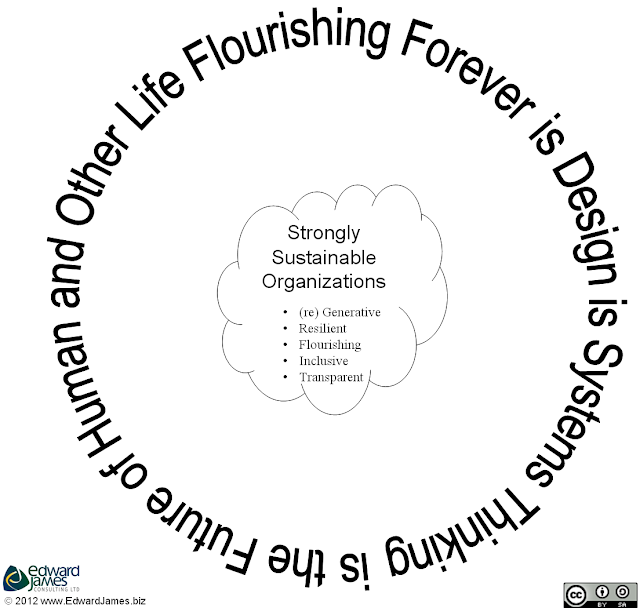 What do people need to know to be effective at creating and improving strongly sustainable organizations (and a certification to demonstrate competence)? How to ensure people know what they need to know (facts and methods)? How can businesses making the journey to strong sustainability work together and support each other? Is this perspective helpful? Confusing? What's missing? * Kudos and credit for the inspiration and ideas in this post to folks I spoke to over the past week (listed in the order we spoke!) All the mistakes, errors and omissions however are mine. B Lab the non-profit powering the Benefit Corporation movement. I think this is really important work. As I mentioned the other day, we all know people, organizations and networks in this area, but it's hard to find a definitive list, let alone a visualization that maps their relationships. Antony, I like this line of thinking. It is useful to start identifying areas of focus, where there is overlap, where there might be gaps, and how groups can work together. I do think the six have a little too much overlap or risk of confusion. Perhaps some could be bundled together, or there may be a need for some layering or hierarchy. For example, the 'Gold Standard' focus is in some ways foundational to all others. I will give this some more thought and see if I can provide some more constructive comments. Great starting point though, I just think it might need to be iterated as you get other feedback. 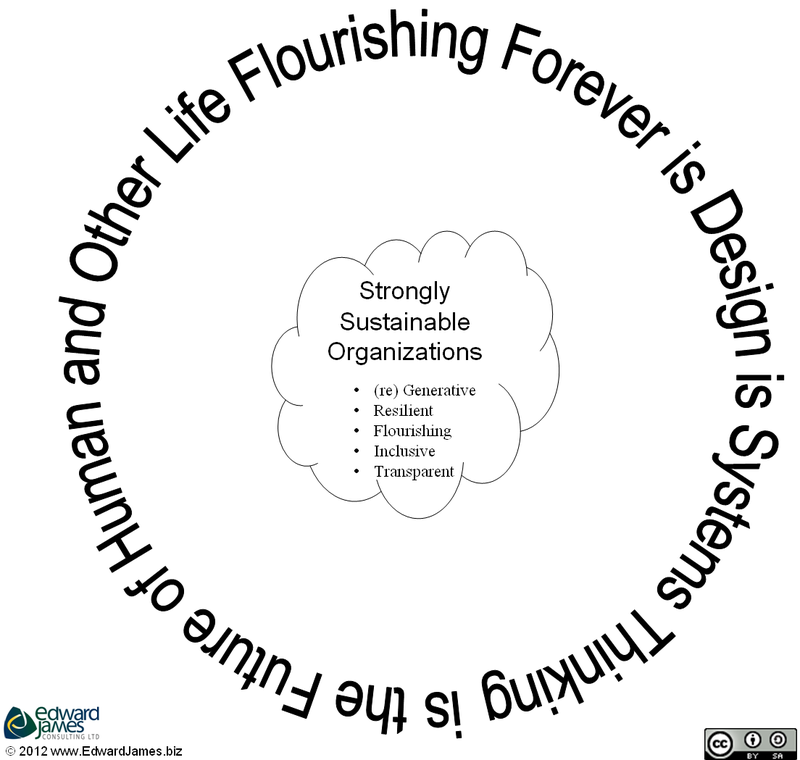 As food for thought on how we slice and dice the elements in your circles on slide 5, perhaps the TNS 5-level framework (http://www.thenaturalstep.org/en/5-levels) is another way to arrange them, with Tools at the bottom, the “Gold Standard at the Success Level, and so on. The more we play with the pieces of the puzzle, the more comfortable we become with their inter-relationships and inter-dependencies. That’s why we need a collaborative approach to crack this nut. Definitely food for thought... thanks Bob. - Organizations which are making change in specific sectors - e.g. Local Food Plus (LFP) in the food sector - from farm to fork. - Organizations which are explicitly trying to organize across systems which are currently locked in and need an outside facilitator to break through to a new design. The recently announced Natural Step Transition Lab is one early example of this.